Welcome to Willow Tree Class! Welcome to Willow Tree Class page. We will be sharing pictures, information and all our adventures on this page so that you can see what we have been learning in school. PE: This term our PE lessons will be held on Monday and Friday. Please make sure your child's PE kit is in school everyday. if your child attends after school clubs, please make sure it is in school the following day. We have now started our new scheme of work for Reading and the children are really enjoying it. As the groups rotate each week, please make sure the children's Reading records and books are in their book bags everyday. HOMEWORK: homework is issued on Friday and all children should complete it and return it by Tuesday. The RE front page is sent home termly and should be returned by the date written on the back. On-line safety Please remember to use this website when searching online. Open the power point and click on the sound cards to hear the correct pronuntiation of each grapheme. Letters and sounds phases and year groups Great website explaining Phonics, showing different phases and which year group are taught. Have fun with numbers. Songs, games and other creative ways to learn Maths. 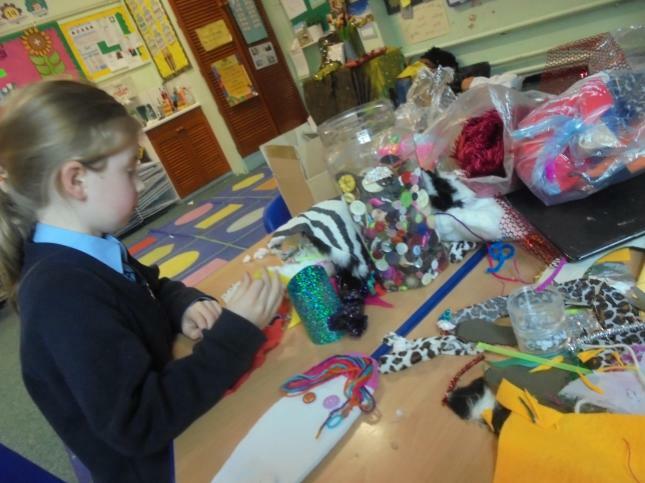 The children in Willow Tree class have been very busy during this Spring term. 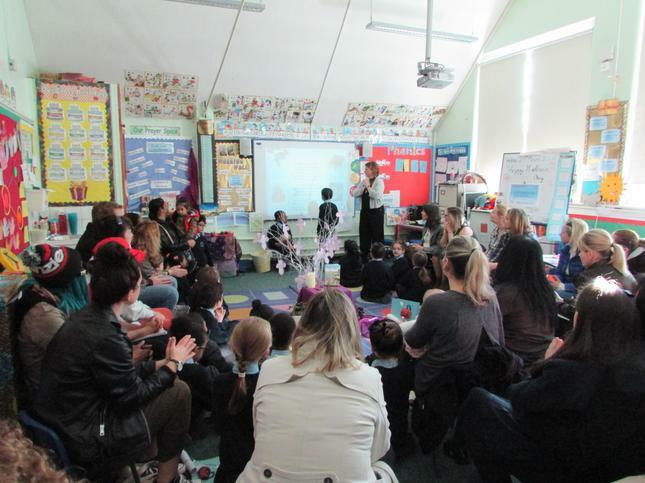 We started our new Topic 'Under Da Sea' with a special treat from one of our parents. Mrs Farsoun came to our school to show us 3D videos of different seascapes around the world. We visited America, Mexico, Hawaii and Australia and never left our school! We continued our learning about the underwater world with a fantastic day at the Sea life Aquarium. We saw sharks, jellyfish, seahorses, tropical fish and we even touched a star fish. It was a great day and we learned so many things about the ocean and its creatures. We were so inspired by the colourful underwater world that in the following weeks we made clay sculptures of sea creatures in our D&T lessons. In Maths, we have been developing our knowledge of place value and learning different strategies to solve additions. We even drew our own number line in the playground and jumped in Tens and Ones! In English we have been learning to write instructions using imperative verbs and time conjunctions, to make our very own Wild Thing sock puppets, inspired by the book "Where the Wild Things are". 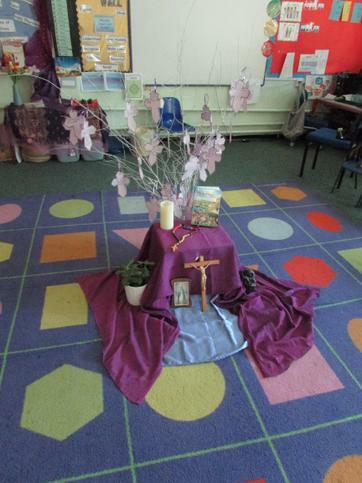 In RE we have been retelling Jesus' arrival into Jerusalem and reflecting on the days leading up to Good Friday. The children have also been using their fine motor skills to weave the handles for their Easter baskets. What a fun way to discuss the different types of animals; herbivores, carnivores and omnivores. Ask your child how they identified each type of animal and what they have learned. 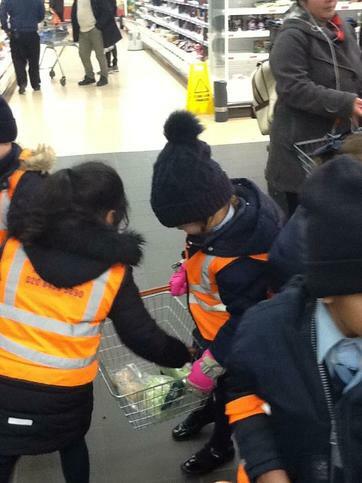 Willow Tree class was transformed into a mini version of Willesden High road for our Geography lessons. We looked at aerial maps of Willesden Green and used it, together with our knowledge of the area, to build our own 3D map in order to learn directions. We wish you all a lovely Easter and we are looking forward to seeing the children , rested and ready for another exciting term, on Tuesday 23rd April. Thank you to all the parents who came to our Act of Worship this morning. The children were really happy and proud to share their learning of songs and prayers with you. Welcome back to all our children and parents, we hope you all have enjoyed a restful festive break. The children have come back to school well rested and ready for the new term. We have really enjoyed hearing about the lovely things they have done during their holidays. In History, we have been looking back in time to see how things have changed, focusing on how houses have transformed through years. At the end of the topic, we are going to create rooms in 'olden days' style, using recycled shoes boxes. In Science, we have been looking at 'Materials'. In our Gardening lessons, we have classified the material in 'natural' and 'man-made'. At the beginning of the Spring term, we looked at the features of Performing Poems. in English. Inspired by the poem 'Down by the School Gate' by Wes Magee, we have written our own Performance Poem. First, we went into the garden, collecting sounds then, we worked in groups to put our own sounds together; we used rhyming, rhythm, repetition and some alliterations to write our own poems. In Maths, we have been learning to use different strategies to solve Addition and Subtraction simple word problems. We have been learning shape properties and classified them in 2D and 3D. We went on a shape hunt around our school garden and identified 2D and 3D shapes in the environment. 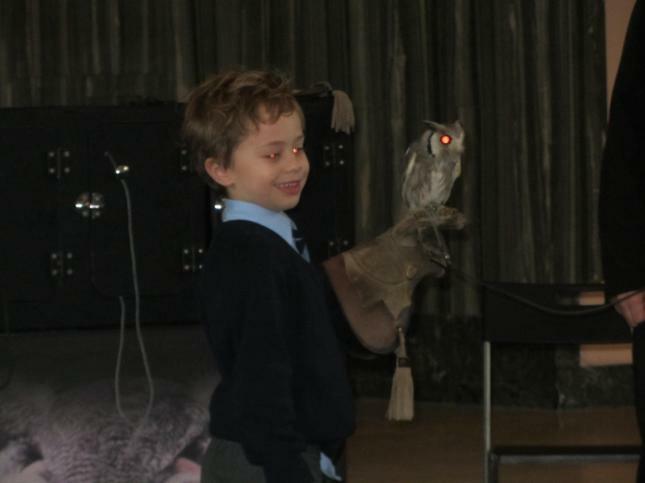 We had an assembly on Healthy Eating this week. We learned how many portions of fruits and vegetables we should eat in a day and how important it is to exercise in order to keep healthy. 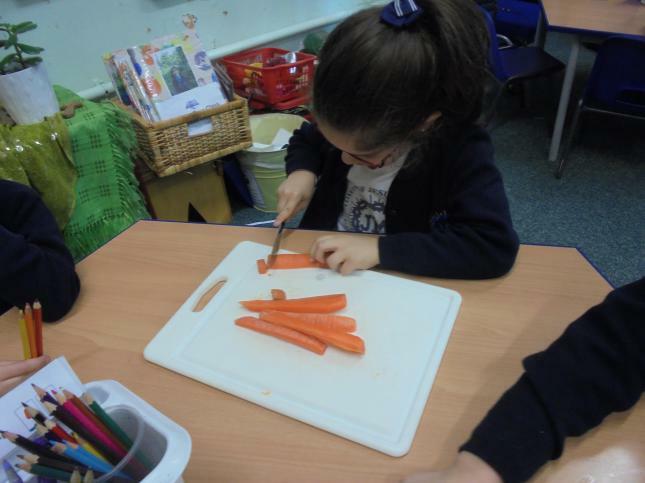 Linking it with History, we looked at food eaten in the past; how ingredients have changed and which food we still eat. 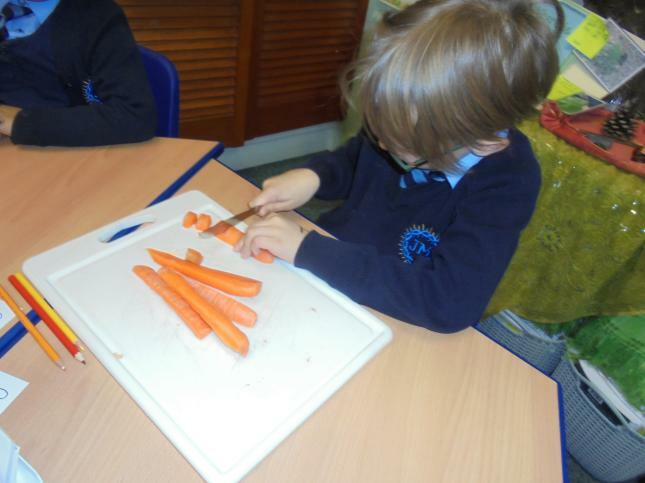 We then decided to make our own vegetable soup. 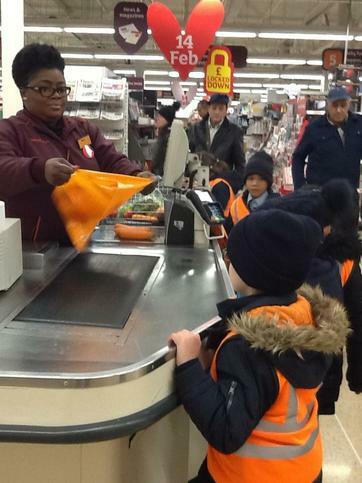 We made a list of the vegetables we should use, we went to Sainsbury's and bought lots of vegetables. On our way back, we stopped in our school garden to harvest the chard, cabbage and kale planted last year. The vegetables were chopped, cooked and eaten by the children. 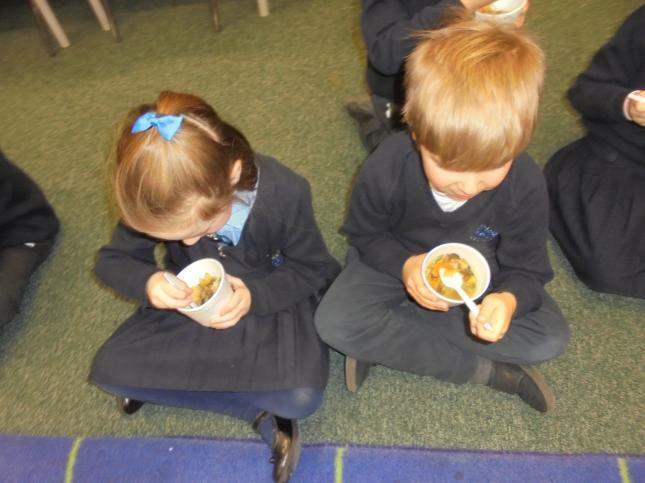 They all loved our vegetable soup...No leftovers! Making vegetable soup...and eating it! Yummy in our tummies! 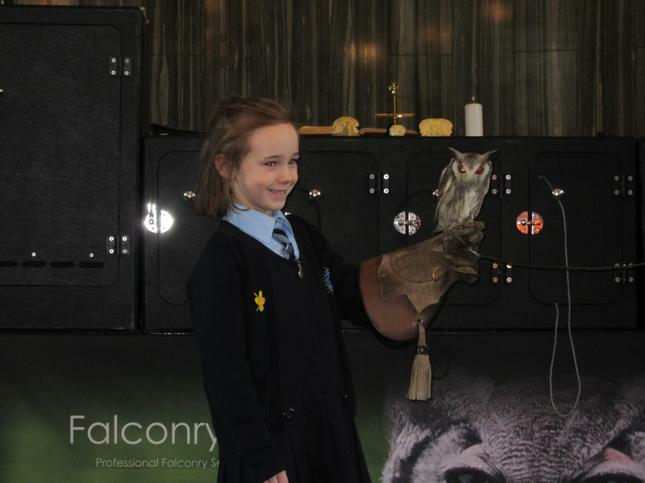 Falconry Uk came to our school during Birdwatch week. 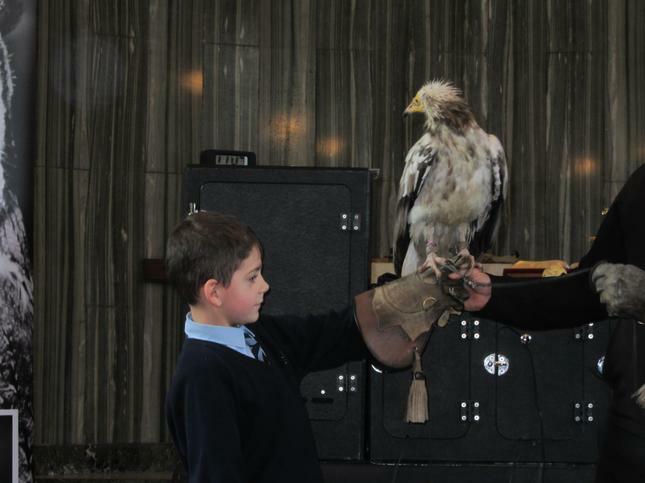 We saw a variety of birds of prey including a vulture and a baby owl. 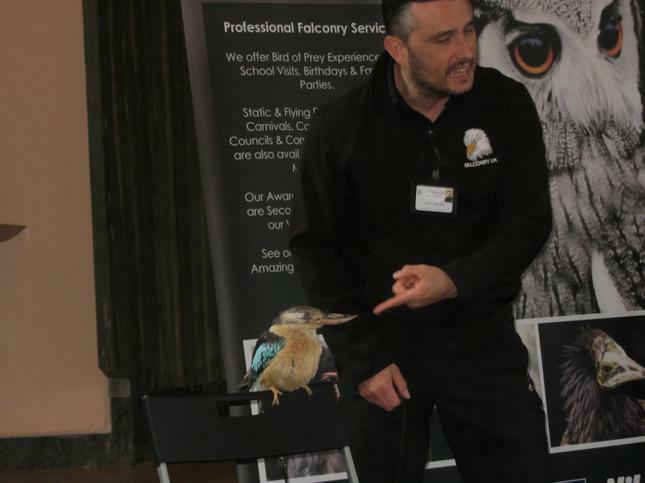 We have been very busy this week, learning lots of new things and beginning to prepare for Christmas. We have been thinking about our world, how to respect it and take care of it. 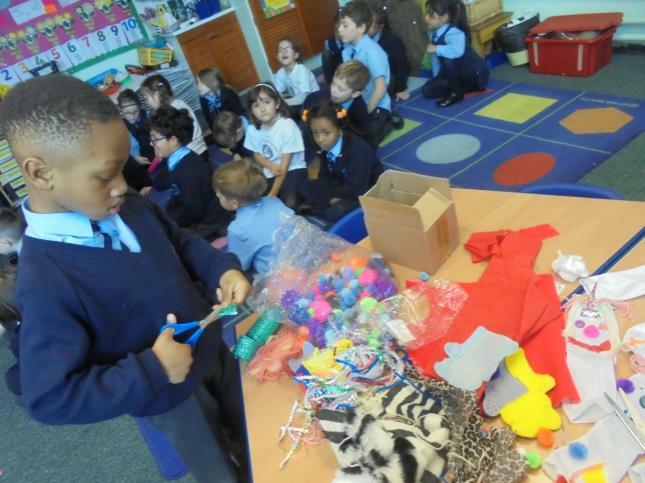 We have recycled plastic bottles and made Christmas decorations to sell at our Christmas Fair. In class we have been reading the story of Owl Babies by Martin Waddell and used Makaton sign language to retell the story. We have thought about feelings, how we can be a good friend, care about each other and make good choices. This links with our whole school ethos, Golden Rules and British Values. As we are now entering the Advent season, we have been thinking about what Advent means for us and how we prepare for Christmas. We have written messages on small cards and made them into our Advent Calendar. We have also made an Advent wreath using recycled plastic bags and twigs from our school garden. The children have been busy practising their lines and singing the songs for our Christmas production, they are amazing! !